In today’s marketplace few companies can still say they are family owned or proudly Canadian for over 80 years. Barlow Manufacturing can claim both. Founded in 1932 as Barlow Tool and Machine Company, William Barlow Sr. serviced the growing industrial community of Hamilton and the surrounding area. Combating the Depression with an innovative “can do” attitude, the Company took on any type of job and gained a wealth of experience and expertise in manufacturing. During World War II, Barlow began to specialize in servicing the Glass Container industry and produced high wear replaceable components for Glass Forming machinery. Commitment to ingenuity and service propelled Barlow forward as a major supplier, and the company began building all types of required parts and equipment for the Glass industry. This was the first step to becoming the experts they are today in conveyor systems. Continued growth and diversified product offerings demanded a larger facility. 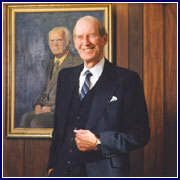 The new shop and office was built in Stoney Creek where the Packaging Plus division was established in the late 1970s. For the past thirty years, the company has followed its roots, developing new products where needed, designing custom solutions when asked, and supporting every piece of equipment with the quality service you would expect from years of experience. Today Barlow continues to offer a diverse product line of conveyor systems, with strong specialties in the Bottling, Packaging and Glass Industry. Barlow also is a leader in the manufacturing of custom industrial cleaning, drying, and blow-off systems through its sister company, Pioneer Industries. Recently, Barlow Manufacturing expanded their services offering advanced fabrication including laser processing and CNC metal-forming. The company's entreprenuerial spirit and ongoing committment to customer service makes Barlow as strong today as it was over 80 years ago.